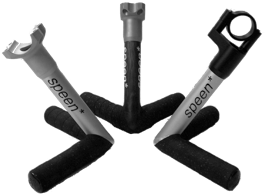 speen* has some utilities, that are a bit more than “nice to have”. At least there are the Umlenker (also known as toppull). With these small friends you might be able to convert the road front derailleurs of the big three: Shimano®: FD5600, FD6600, FD6700, FD7800, FD7900; SRAM®: RED, Force, Rival; Campagnolo®: SuperRecord, Record, Chorus; FSA®: Energy, Gossamer as well as the ALTORE 366 from TISO® into a toppull derailleur. completely “Made in Germany” out of the finest stainless steel the Umlenker weights from 7g only. Something quite essential for everyone who is going by bike and has sometimes trouble with flat tires because of a picked up 9 inch nail is our Öffner (translated: opener). Depending on the dimension of the catastrophe the Öffner helps to solve the problem by removing the valve for infilling the sealant gel. Or you might free the bottle you bought with the last small change from its crown seal. For really big things the Öffner also provides a spoke wrench with which you might repair a potentially occuring hyperbolic paraboloid in your wheel. The idea with which all begun: the Anpacker (translated: tackler and formerly known as aerobar). The Anpacker was meant to be used for short distance triathlon und duathlon but is meanwhile also common on time trail, hill climb or even trekking bikes. The Anpacker is our implementation of “reduced to the necessary”. Depending on specification the Anpacker is available from 90 g [black SL version] for universal fit in bars with Ø 25,8 mm / 26,0 mm und 31,8 mm. The so-called “Adapterplatte der wahnsinnigen Beschleunigung und unglaublichen Flexibilität” [AdpdwBuuF] allows to operate skis with certain bindings at different positions. It also solves the problem of ripping out telemark bindings off the ski. Therefore it´s name is like it does and means something like: “adopting interface disc of awesome acceleration and unbelievable flexibility”. This features come due to the wider stance of mounting, additional screws for fixing on ski and the thread inserts for different bindings. The AdpdwBuuF is compatible with all telemark bindings, that were able to be mounted on K2®-telemark-insertskis [G3®, G3® ascent, Rottefella® incl. NTN®, BlackDiamond®] and alpine-tour-bindings from Marker® with BCT® [DUKE, Baron] as well as with the new 2010 Marker® F10 and F12 bindings. Now one can ride the ski according the actual snow conditions as well as according to the preferred riding style [or even something that will not work in any case] without turning the ski into a piece of cheese. In addition, the position for telemark bindings can be triple diversified: setback for PowPow, 3-pin to mass centre for all round or forward for “Colt Sievers like pipe riding”. 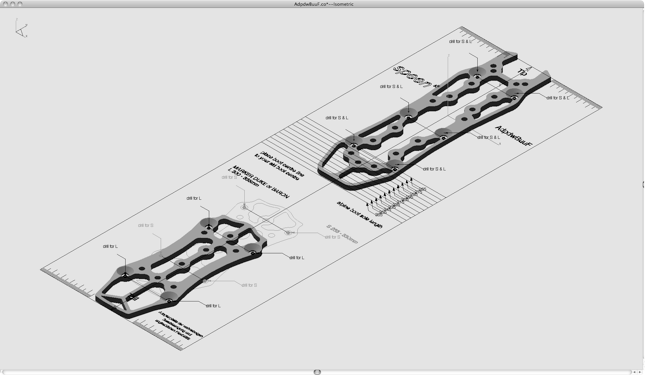 So switching the binding or the position on the ski is now easy and safe. disc that is strong enough to protect against binding rip and still flexible enough, not to influence the ski´s flex line in its ductility. This all comes at a weight of approximately 258g. The package contains the pair of the dressy discs, a ravishingly beautiful drilling template as well as the the “Master” screw set for fixing the “AdpdwBuuF” onto the ski. In summary an absolutely must have! As not everybody can afford a number girl and due that it is even more totally outdated to have one, speen* again comes with a solution that solves the issue. Not really a global problem but a really need to have. 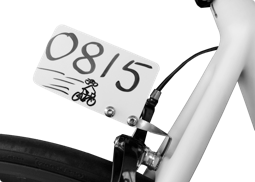 Here is our answer to poor race number installations: the “Zahlenhaken”. The very cute stainless steel plate comes with the two flat VA4 screws and nuts.